You know how people say you should never meet your heroes because they might be all show but no personality? When Vim from the 12×75 blog (where I’m a contributing editor) arranged for me to attend, I wasn’t about to let anything get in the way of this opportunity (I even skipped a WSET class for the experience). You see, I’ve been stalking these wines for years but have fallen short in my efforts to try them. Other priorities in life seem always to demand my money: rent, clothing, food, trips back to Canada to see my long-suffering family. So there we all were on the night, squeezing into dining rooms in London’s Nozomi restaurant, hugging glasses of Bollinger’s La Grande Année 2002 to start (the loan non-Bordelais wine) and clumsily scooping up sushi with chopsticks. Note to self: Used chopsticks should not be stashed in the inside pocket of a suit jacket. I must have been one of the most awkward-looking people there. In one hand I held a glass; in another, a notebook, pen and chopsticks, all of which required juggling every few moments depending on what I was doing. Sniffing and swirling one moment, scribbling in my pad another, then capturing a piece of sashimi when possible. The wines on offer, covering the appellations of Pomerol, St Emilion, Graves and Sauternes, were a who’s who of some of the best chateaux in all of Bordeaux – without venturing into obscene price ranges. 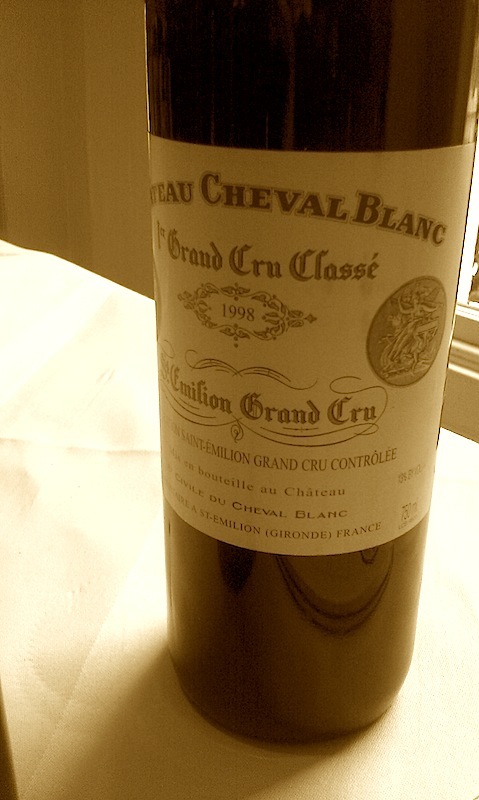 The vintage in question – 1998 – was one that favoured merlot, so the outcome here is the St Emilions and Pomerols should perform better than their left bank counterparts. That said, vineyards in Graves (one of my favourite appellations), specifically Pessac-Leognan, fared better than those in the Médoc. We started off with La Petite Eglise, the second wine of Clos l’Eglise in Pomerol. It was wonderful in its own right but lacking somehow. Once we moved up to Chateau l’Eglise Clinet’s grand vin, the thing lacking in the second wine became apparent – the flagship’s opulence. 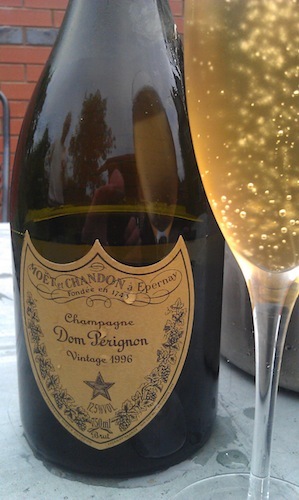 It just oozed ripe black fruits, integrated oak and great minerality. And so the night went on and I winged my way blissfully through the wines, scribbling woeful notes and trying to post #7wordwinereviews to Twitter. Vim’s efforts were much more efficient than mine, to say the least. Next up was the Haut-Brion and, I must confess, I went back for two more tries of this: the first poured from bottle and the second from decanter. 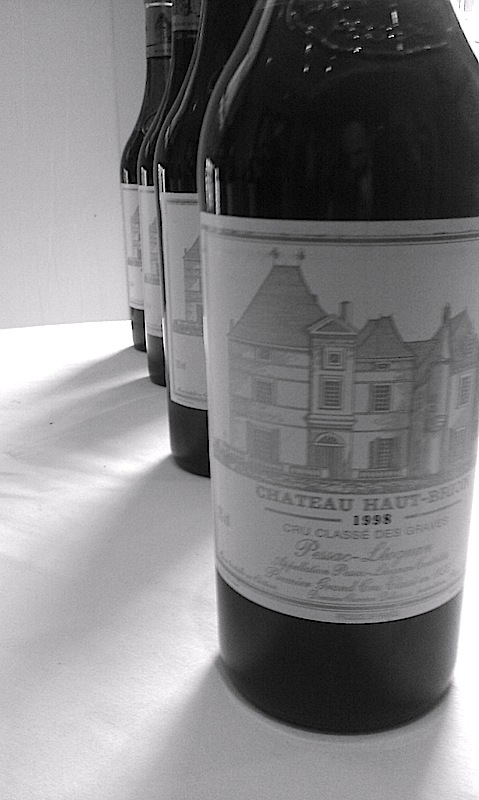 Many thought this wine, along with the Chateau Pape Clement, was hard, reserved, unready to be loved. But out of the decanter it was much more alive, having shrugged off its tannic robe and revealed more fruit and personality. It expressed a hint of oak and cedar, boiled sweets and something medicinal. The final four wines gained a great deal of praise and were the favourites for many. Chateau L’Evangile had aromas of a burnt match with fragrant fruit that was reminiscent of perfume. But the one everybody raved about was the Cheateau Cheval Blanc. It was showing well, being expressive and fragrant, and judging by the number of people lining up for seconds, couldn’t have put a foot wrong. 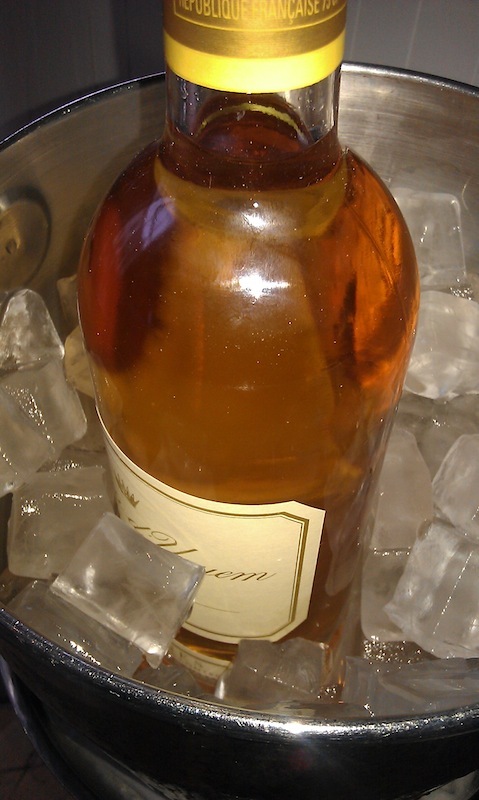 It was the Chateau d’Yquem I was perhaps most excited to drink and, even though 1998 wasn’t necessarily its greatest vintage, it was still divine. 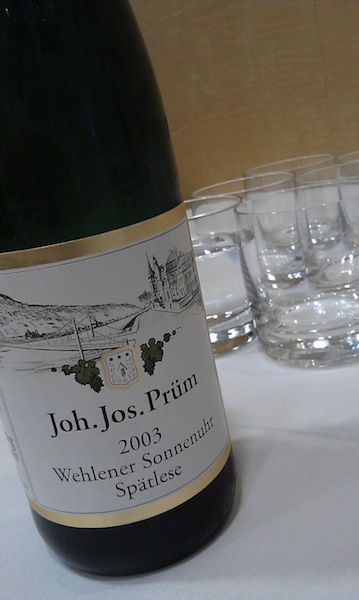 Viscous and expressing aromas of honey, peaches and pears, I could have sipped this all night. 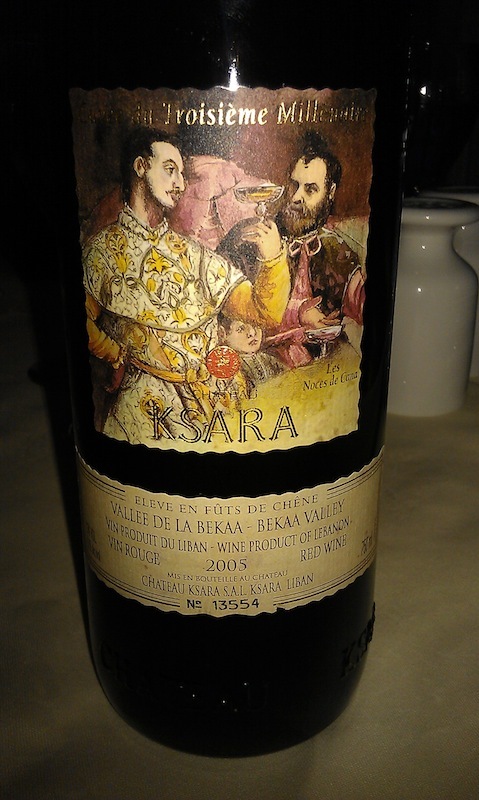 Afterward we tumbled into a Lebanese restaurant across the street for some food, which was wonderful, and we paired it with a wine from the Bekaa Valley, famous for its reds. This was a blend of Bordeaux grapes and a splash of syrah. 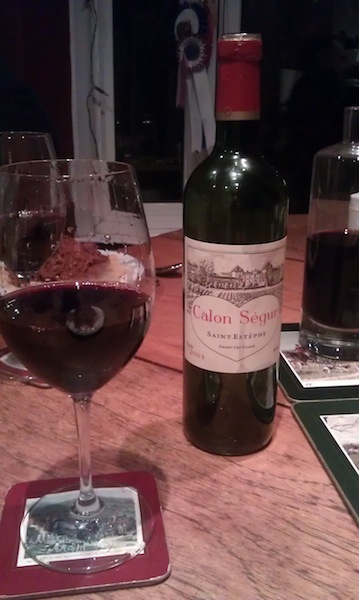 This was lively and fruity plus a little tannic; definitely a well-made wine we all enjoyed. At £40 per bottle it wasn’t cheap, but before you accuse the restaurant of applying a heavy markup to something that would normally cost about £9, I should say I spotted the 2008 vintage at Highbury Vinters recently for £27.50.